Home » Adventure » New wildlife center! Cutthroat trout making comeback! And more! New wildlife center! Cutthroat trout making comeback! And more! New wildlife center approved for South Lake. Cutthroat trout are getting it on! Boom chicka bow wow! Great news! The official trout of Nevada have been bumping uglies in the Lower Truckee! For the first time in 80 years since their eradication, the cutthroats have spawned up the Lower Truckee and as many as 45,000 have hatched in recent weeks! Kind of a big deal when you think about the fact they’ve only procreated in hatcheries since 1938. Fortunately, they’ve been making a comeback and showing us that—yes—Tahoe’s OG fish still got what it takes! 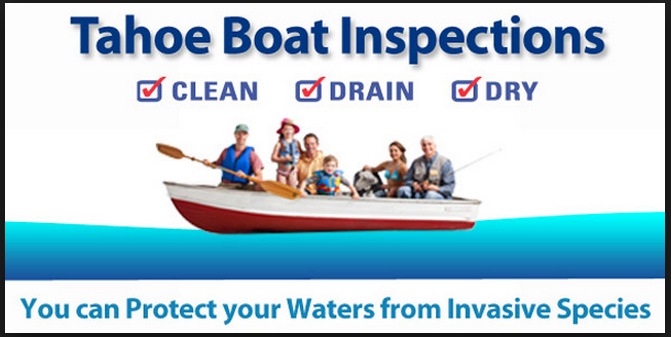 Boat inspections have begun! And no, your Explorer 200 doesn’t count. You know it’s officially spring/summer when the doors have opened for boats to float. Unless your boat is faithfully committed to Lake Tahoe, however, you can expect it to be recieving a full frisk before taking a dip into those blue waters. Boats that engage in promiscuous behavior without cleaning up after put Tahoe’s waters, and native species, at risk. Asian clams and Quagga mussels are a few invasive species to recently take over lake waters. As they say—don’t be a fool, clean your tool.